You didn't think I was going to tell you all about the fabulous wineries in Walla Walla and not mention the food? After my first day of tasting a range of really well-made and well-balanced wine, I was holding my breath that there would be some good restaurants to go along with it. I was going to be happy with one decent spot for dinner, but was rewarded with many great dining options. 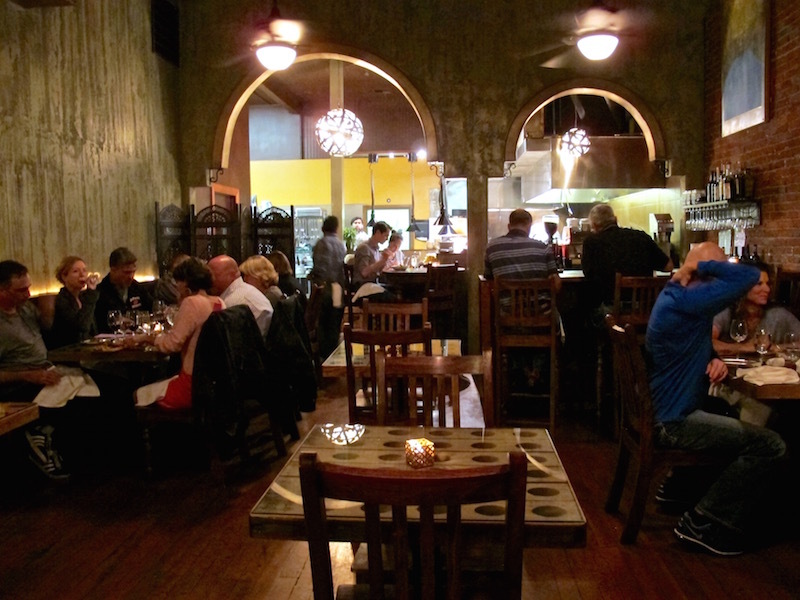 Here's a snapshot of some of the best Walla Walla restaurants. The major upscale, luxury hotel in Walla Walla is the Marcus Whitman. It's one of the largest and most notable sites as you drive into town, but I suppose you could say that the town is pretty horizontal, so anything over a few stories stands out. The Marc dates back to the late 20's, but has seen several renovations since. Even if you're not staying at the hotel, you can dine in either their more formal restaurant or their casual Vineyard Lounge where you can grab some lighter bites. 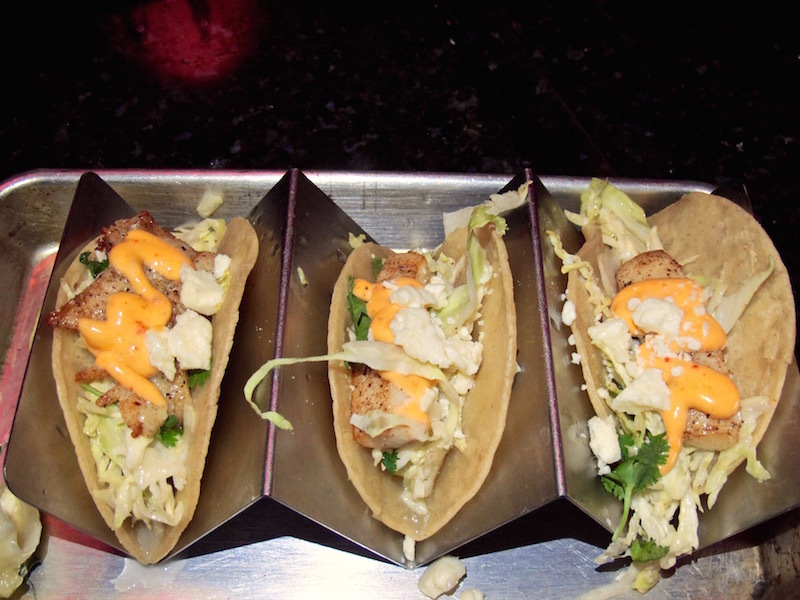 The Vineyard Lounge menu includes bar favorites like fresh calamari, fish tacos and chorizo-stuffed mushrooms. The grilled flank steak with caramelized onions hit the spot after a long day or wine drinking, and desserts were also beautifully presented and equally satisfying. Saffron is a cozy and warm Mediterranean kitchen serving small plates as well as flatbreads, homemade pasta and wood fire grilled entrees like pork chops, Dry Creek lamb and Coho salmon. This another great spot to stop after a day of drinking, though be sure to make a reservation if you're there during the busy season. The plates are all shareable and can range from a hearty steak to a light salad, but don't miss one of the house-made pastas. I'm always partial to anything French, so it was a great surprise and delight to see a French bistro in Walla Walla. I like what Brasserie 4 is doing with rotating art exhibits, as well as their own wall of wine. You can choose a wine by the glass off the menu or go have some fun and peruse their nice collection of wine. Grab a bottle you didn't have time to sample while tasting in Walla Walla. I was happy to see some of the French classics like escargot, rillette, croque madame, steak frites and bouillabaise. All were well-executed and served in a boisterous environment that is really dimly lit - really dimly lit, which might be for the best for some. If you're looking for something a little more casual and a little more bar-like, then Public House 124 will hook you up. There are games on in every nook and cranny and you can get wings and truffle fries or dig into a plate of nachos the size of your head. They also do burgers, hanger steak and fried chicken. Another bar-like atmosphere with games and greasy grub is the Green Lantern Tavern. This is a good place to stop mid-wine tasting, especially if you're out near the airport area. You can refuel with pizza and salad, and make sure you don't leave Walla Walla without trying the addicting onion rings made with their local sweet onions. At the end of your wine tasting weekend, you may want to soak it all up with a final breakfast at the Maple Counter Cafe. 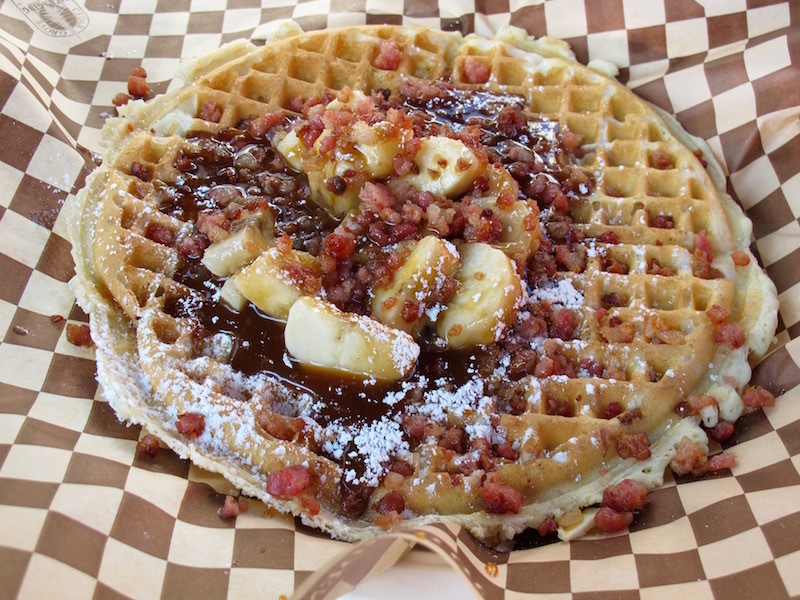 Expect a line out the door on weekends with many others who share the same idea as you, but if you don't feel like waiting, they have a mobile truck parked right next door if you want one of their outrageous waffles.. They're set-up with tables and chairs and crazy waffle combos that might include fried chicken, salmon or peanut butter, bacon and banana. Oh, it was good. There's actually a handful of food trucks in Walla Walla that will roll up to some of the wineries on busy weekends to serve people some food to go with their wine. We enjoyed a great taco truck just over the Oregon border after visiting some of the Southside wineries. Other notable Walla Walla restaurants to consider: Whitehouse Crawford (fine dining), Graze (casual sandwiches and salads), Olive Cafe (casual spot for any meal of the day), Bacon & Eggs (I'm sure you can guess which meal you want to eat here), Andrae's Kitchen (upscale fast food good for take-out, just outside of downtown. I was impressed at the range of dining options in Walla Walla. There were formal white table cloth restaurants, interesting small plates spots, casual pub dining and even food trucks. Walla Walla is a wine region to watch with their winning combination of great wine, good food, and nice people. I'm already planning my next visit! I received a dining credit at the Marc's Vineyard Lounge, but all opinions are always my own.